Born in Bucharest on 1 August 1860, Basil Assan studied engineering in Switzerland and France. In the summer of 1896, Basil Assan embarked on the Norwegian ship Erling Jart, along with a group of scientists from several countries, who have reached the Arctic, up to 81 degrees and 35 minutes of northern latitude. 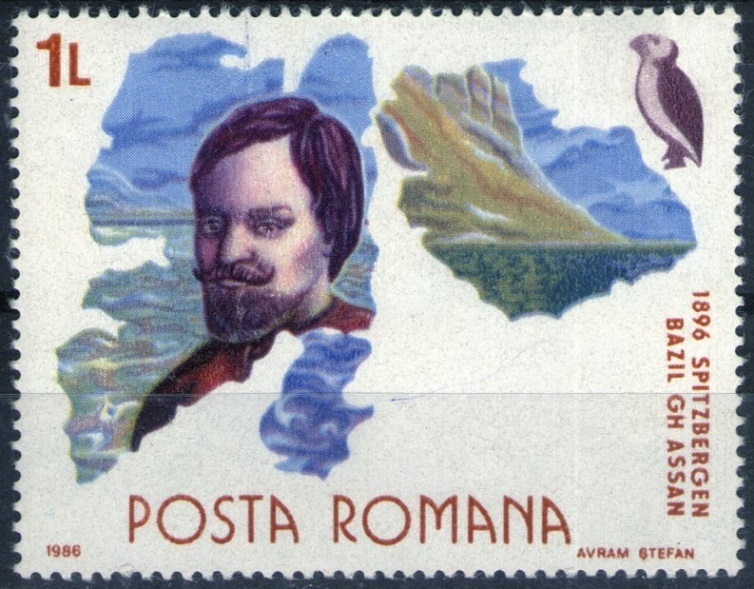 He was the first Romanian to reach the polar lands. He studied the geological structure and natural resources of the Svalbard archipelago (where he brought 80 plant species), iceberg formation and bioclimatic conditions. He did even exploration activity, discovering new islands. In the years 1897-1988 he made a travel on the route Constantinople - Alexandria - Ceylon - Singapore - Hong Kong - Shanghai - Nagasaki - Tokyo - Yokohama - San Francisco - NewYork - who became not only the first Romanian to travel around the world, but the first Romanian to enter into trade agreements in the Far East. The reports of the expeditions were published in the Bulletin edited by the Royal Society of Geography of Romania, the other member was. With the consent of King Carol I, he embarked aboard the Elisabeth warship and took over to Romania some islands not yet retained by anyone in the Pacific, but the project was soon recruited for lack of resources. He died on June 16, 1918, in Switzerland, in Montreux.